. Ideal floor plan for multiple families features: (2) King Master Suites (1) Queen Bedroom (1) Large 'Kids Paradise' Bunk room with two twin over double bunk beds that sleeps six. With designer mountain decor you will have all of amenities of a resort, including WIFI. Our two large decks are great for catching sunsets or grilling and dining out. · Enjoy our private home as it were yours. We pride ourselves in keeping a well- maintained home with all of the upgrades. Our private end-of-street location complete with sledding hill is ideal for the kids while you watch from inside cozied up by the fireplace. The spacious kitchen with bar area provides views while preparing your meals and the adjacent dining area seats eight. The large upstairs master bedroom suite has amazing open space views, complete with desk and French doors leading to a deck. Master also has jetted jacuzzi bath, large walk-in double shower aand large custom walk-in closet. 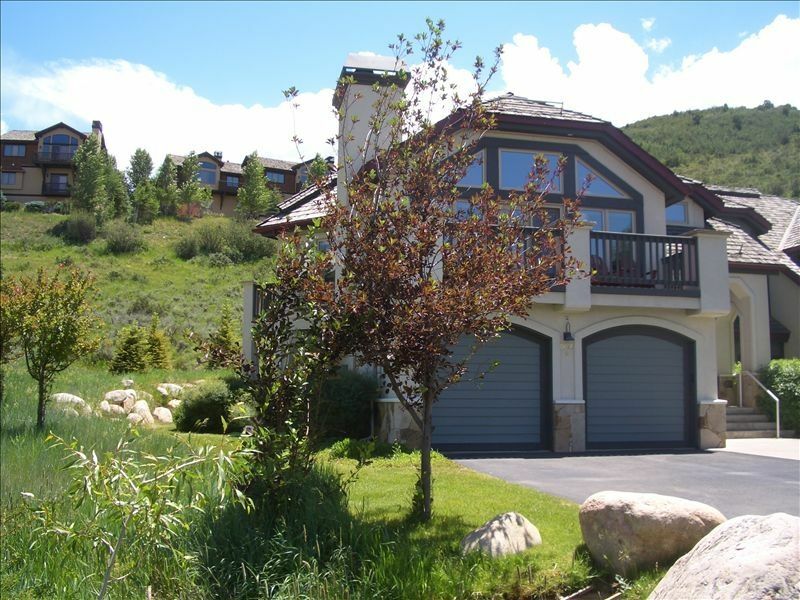 ·	Enjoy the exclusive amenities of Arrowhead Village on Beaver Creek Mountain. You have access to a private community hot tub just 40 steps away and a year-round outdoor heated pool and hot tub at the Arrowhead Village base area. Arrowhead is minutes from the valley's best restaurants & shopping, world-class skiing, snowshoeing, sledding and tubing. We are s family of 5 and proud parents of triplets. We enjoy the outdoors and spending family time on the mountain. Arrowhead Village at Beaver Creek provides a unique village to village skiing experience and is ideally suited for families. Start your ski day at Arrowhead and ski over to Bachelor Gulch or Beaver Creek and avoid the lift lines at the base of Beaver Creek. Beaver Creek Resort is consistently ranked as one of the most family-friendly resorts in North America. It's a beautiful and friendly private gated community. Kids can play safely outside and parents never need to worry about their safety. The views are beautiful year round and the private door to door ski shuttle service made life very easy especially when it came to skiing with the kids. Now that the kids are older they can take the private shuttle home and we can apres ski with friends at the Broken Arrow or Vista Restaurant. The sunsets in the summer are beautiful. Unobstructed views of Castle Peak, Arrowhead Mountain, Bellyache Ridge and surrounding open space. Sonnenalp Club in Singletree and Avon Recreation Center, both 5 minute drive and has an extensive offering of pools for kids, a lap pool, cardio, weights, kids care and more. (2) Two large decks include west-facing sunset deck with four chairs and east-facing sunrise deck with gas grill, table and four chairs for outdoor dining. Nordic, X-Country Skiing available within the community.